1. provide interpretive materials, including site brochures and exhibit labels, in at least two languages—Dutch and English—and English can be the primary language for banners and posters. The Netherlands is a crossroads for people from all over the world and it was fascinating to see that the English language formed the common bond. At the admission desk at the Teylers Museum, the Dutch admission staff and the French visitors spoke to each other in English—no one used their native language. English seemed to be limited to directions and logistics, however, and the interpretation was frequently provided in several languages. The Vermeer Center, for example, provided audiotours in seven languages although five is more typical. I appreciated having materials in my native language to better enjoy the museum, even if it was in broken English at times (I could still figure it out and it was better than nothing—and sometimes amusing). Let’s consider the same courtesy to our visitors from other countries, even if it’s just a one-page explanation of the site’s history or map produced in-house using Google Translate. 2. the largest museums use digital technologies extensively, but just as in the US, visitors engage with them only briefly, if at all. The only exception were the Podcatcher audio handsets, a handheld device about the size and weight of a pack of cigarettes, which visitors continually used. It’s triggered when held close to a small id tag on a wall or near an object (RFID?) and then placed to your ear to hear the interpretation. Three buttons pause or play the audio and control the volume, and can double-up to provide deeper information (e.g., “press A to learn more about the artist”). It’s simple and light, easy to clean, and allows visitors to choose what they want to do. 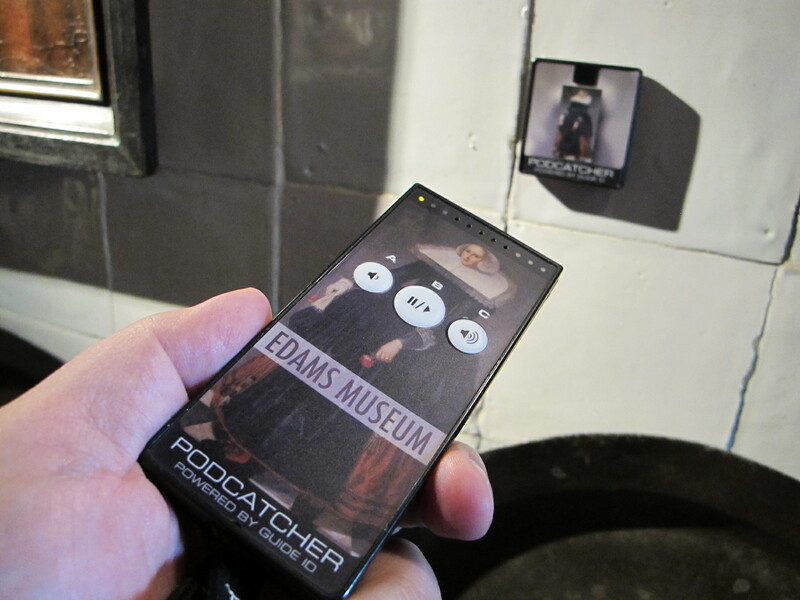 The Podcatcher is created by Guide ID and seems to be available only in the Netherlands, Belgium, and UK, but I can see them being very popular in the US. If you’re thinking of audiotours, you’ll want to check them out. 3. rarely use stanchions. You do find objects placed behind glass, a rope across a chair, or a line on the floor in front of a painting, but it’s not common. It’s great to be able to wander more fully in a room to look at the objects, but I’ll admit, a part of me was also cringing because of the risk. I’m not sure if my concerns were entirely valid. Perhaps the furnishings were reproduction, they had other means to prevent theft (such as security guards), or they believed the improved visitor experience is worth the risk. It did make me re-evaluate the omnipresent velvet rope in the US and I’ll be looking more closely at where it’s needed or not. Contemporary flower arrangements at the Frans Hals Museum in Haarlem. 4. actively link past and present. Exhibits and events routinely make connections between past and present to provoke discussion, provide comparisons, generate interest, or engage audiences. 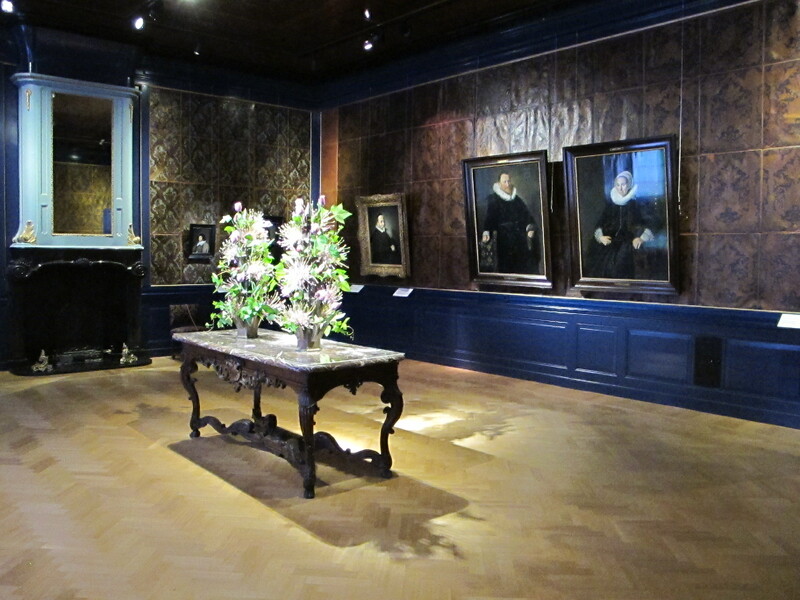 The Frans Hals Museum juxtaposed 17th century paintings with modern flower arrangements. The Rembrandt House held a symposium about the relationship between artists and students today. The Open Air Museum in Arnhem shows a 17th century farmhouse as it was last used as a residence in 2002. These are approaches that are just beginning to be explored in the US so if this is something that interests you, you might want to visit the Netherlands. The Museum of Bags and Purses was my favorite, after Anne Frank House. I thought it was very well-done. Plus for someone like me who loves purses, and buys them like a crazy woman, it was heaven. I wondered how such a specialized museum could survive financially, but when I walked in, I immediately recognized they had figured it out. Just beyond the admission desk is the museum store, which is filled with more purses and bags than Macy’s. The second floor is a lovely cafe spread among a variety of historic rooms. 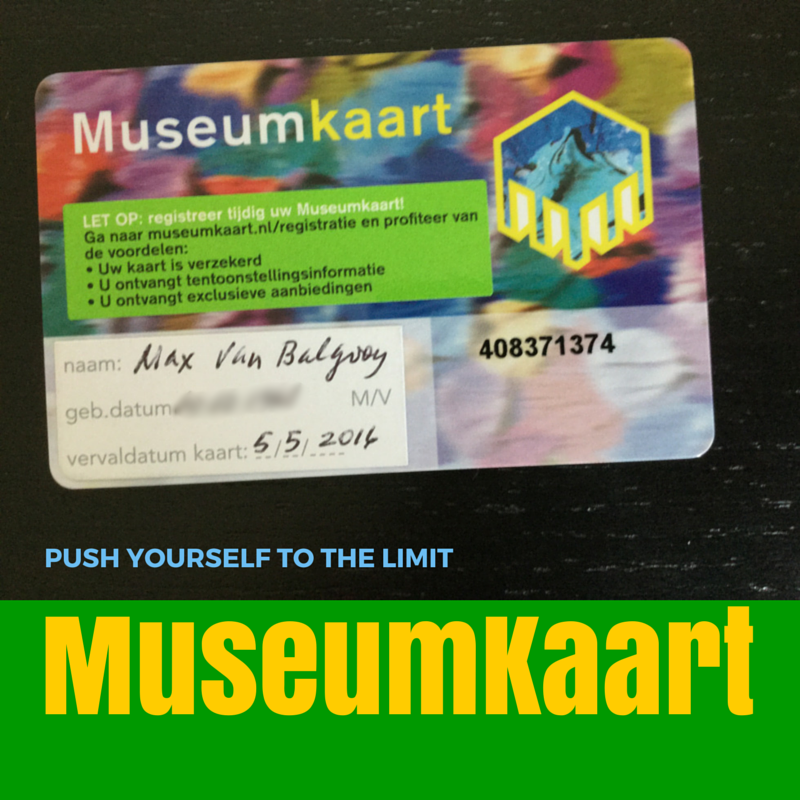 The museum is on floors 3-5 and the exhibits are designed so that you start at the top and work your way down. Genius! The strategy worked on my wife. She stayed for an hour enjoying the exhibits and left with a purse. Great suggestion, Linda! Thanks for the reminder about ICOM and its benefits to members.